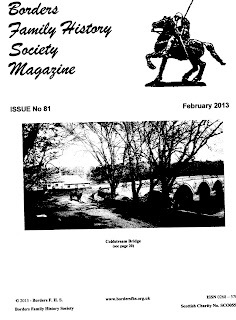 The February edition of the magazine is now with the printers and in the normal course of events members in G.B. should expect to receive their copy some time around the end of this month. For overseas members, unless they have opted to receive their magazine by air mail, granted the speed of surface mail it will probably be some weeks, even in some cases months, before their copy comes thudding through the letterbox. However quite a number of members - those who have opted to receive their magazines electronically have already received their copies. Sending magazines electronically means a significant saving in costs to the Society and Council is keen to encourage members to receive their magazine in this way. As an added inducement there will be additional content in the electronic version; in this issue a further 10 pages. If anyone who elected for this option has not in fact received their magazine - also all who would like to receive future editions in this way - please let me know. Go to our Contacts page, scroll down and click on contact magazine editor. This year on 11th. May we are of course hosting the annual Scottish Association of Family History Society Conference and associated Family History Fair. There are details in the magazine of the speakers and the various Societies and Organizations who will be at the Fair (although we do expect that there will also be a number of others). The theme of the Conference is "Migration and Scotland" and appropriately in the magazine there are articles on families who migrated including one on a Borderer who made good after being transported to Australia for petty theft. 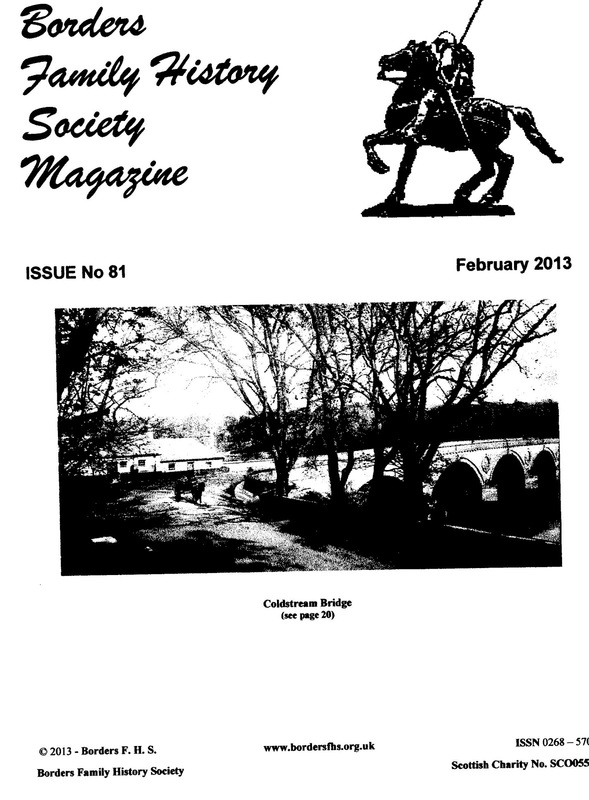 There are also articles on a Hawick Worthy, William Wallace, a Border hanging and on the ' Dowie Dens o' Yarrow.' As ever too a number of references and snippets which we hope members will find of interest. Included in the electronic version is an excellent article by former Society Membership Secretary, Fred Kennington on "A Journey through, Fact Fiction and Fairy Tales in the Borders"